Mike Ness: Hi Beck! Hi Eddie! I love you! 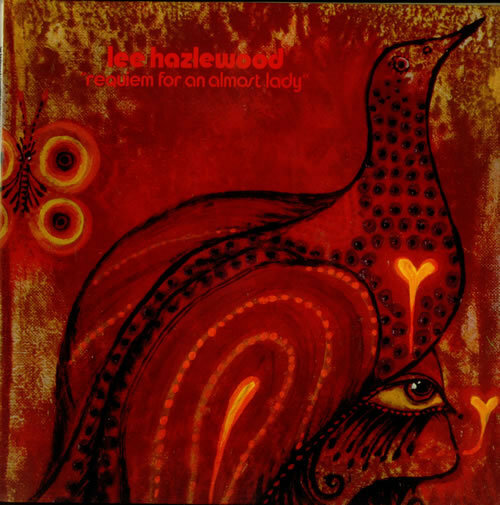 "If It's Monday Morning" is a terrific song from Lee Hazlewood's album, Requiem For An Almost Lady. Beck watchers will recall that he played Hazlewood's song on May 26 2001, as he was a guest-DJ on KCRW in Santa Monica, CA. In Feb 2002, Beck performed the song live at a benefit concert with Eddie Vedder and Mike Ness. Also in 2007, after Hazlewood died, Beck put up a cover of "Forget Marie" on his website in tribute. In 2009 or 2010, Beck also included "Monday Morning" on his "Weird Soliloquy" DJ mix. On February 26 2002, Beck was playing a benefit concert, and shared the bill with Eddie Vedder of Pearl Jam and Mike Ness of Social Distortion. To open the show, the three of them performed "If It's Monday Morning." They do a pretty good job recreating the atmosphere of Hazlewood's recording, but it was difficult because it was the first song, and the audience was screaming uncontrollably. It was a little rusty; you can tell that none of them had probably really played the song before. The trio would re-unite again at the end of the show, after they'd all done their own sets, to cover the Rolling Stones' "Sweet Virginia." Lee Hazlewood's original version's lyrics! There were times when being together was fun. And there were times when being apart was even more fun. And there were times when there was nothing but time, and that was no fun.